Founders fit the definition of a composer: they see something no one else does. And to help them create it from nothing, they surround themselves with world-class performers. This concept of creating something that few others see – and the reality distortion field necessary to recruit the team to build it – is at the heart of what startup founders do. It is a very different skill than science, engineering, or management. Founders then put in play every skill which makes them unique – tenacity, passion, agility, rapid pivots, curiosity, learning and discovery, improvisation, ability to bring order out of chaos, resilience, leadership, a reality distortion field, and a relentless focus on execution – to lead the relentless process of refining their vision and making it a reality. When page-layout programs came out with the Macintosh in 1984, everyone thought it was going to be the end of graphic artists and designers. “Now everyone can do design,” was the mantra. Users quickly learned how hard it was do design well (yes. it is an art) and again hired professionals. The same thing happened with the first bit-mapped word processors. We didn’t get more or better authors. Instead we ended up with poorly written documents that looked like ransom notes. Today’s equivalent is Apple’s “Garageband”. Not everyone who uses composition tools can actually write music that anyone wants to listen to. If the opportunity is so large, and the barriers to starting up so low, why haven’t the number of scalable startups exploded exponentially? What’s holding us back? It might be that it’s easier than ever to draw an idea on the back of the napkin, it’s still hard to quit your day job. They’re the 21st century version of a product sketch on a back of napkin. But instead of just a piece of paper, you end up with a site that users can visit, use and even pay for. But it’s important to note what these napkin projects/test are not. They are not a company, nor are they are a startup. Running them doesn’t make you a founder. And while they are entrepreneurial experiments, until you actually commit to them by choosing one idea, quitting your day job and committing yourself 24/7 it’s not clear that the word “founder or entrepreneur” even applies. The Stanford Lean LaunchPad class was an experiment in a new model of teaching startup entrepreneurship. This post is part three. Part one is here, two is here. Syllabus is here. This week, our first team up was PersonalLibraries (the team that made software to help researchers manage, share and reference the thousands of papers in their personal libraries.) To test its Value Proposition, the team had face-to-face interviews with 10 current users and non-users from biomedical, neuroscience, psychology and legal fields. What was cool was they recorded their interviews and posted them as YouTube videos. They did an online survey of 200 existing users (~5% response rate). 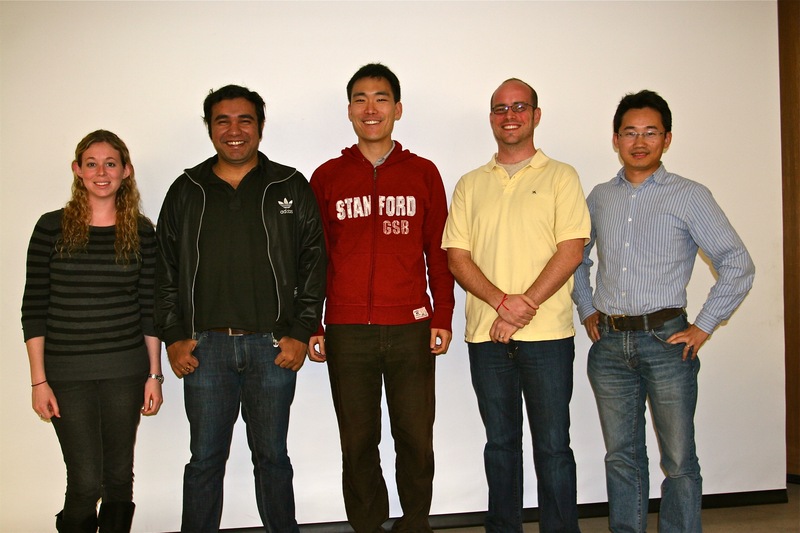 In addition, they demoed to the paper management research group at the Stanford Intellectual Property Exchange project (a joint project between the Stanford Law School and Computer Science department to help computers understand copyright and create a marketplace for content). They met with their mentors, and refined their messaging pitch by attending a media training workshop one of our mentors held. In interviewing biomed researchers, they found one unmet need: the ability to cite materials used in experiments. This is necessary so experiments can be accurately reproduced. This was such a pain point, one scientist left a lecture he was attending to find the team and hand them an example of what the citations looked like. The team left the week excited and wondering – is there an opportunity here to create new value in a citation tool? What if we could help scientists also bulk order supplies for experiments? Could we help manufacturers, as well, to better predict demand for their products, or perhaps to more effectively connect with purchasers? The feedback from the teaching team was a reminder to see if the users they were talking to constitute a large enough market and had budgets to pay for the software. The Agora team (offering a cloud computing “unit” that Agora will buy from multiple cloud vendors and create a marketplace for trading) had 7 face-to-face interviews with target customers, and spoke to a potential channel partner as well as two cloud industry technology consultants. They learned that their hypothesis that large companies would want to lower IT costs by selling their excess computing capacity on a “spot market” didn’t work in the financial services market because of security concerns. However sellers in the Telecom industries were interested if there was some type of revenue split from selling their own excess capacity. On the buyers’ side, their hypothesis that there were buyers who were interested in reduced cloud compute infrastructure cost turned out not to be a high priority for most companies. Finally, their assumption that increased procurement flexibility for buying cloud compute cycles would be important turned out to be just a “nice to have,” not a real pain. Most companies were buying Amazon Web Services and were looking for value-added services that simplified their cloud activities. How do we get past Amazon as the default cloud computing service provider? How viable is the telecom market as a potential seller of computing cycles? How do we access the buyers and sellers? What sort of sales structure and salesforce does it require? Who is the main buyer(s) and what are their motivations? Is a buying guide/matching service a superior value proposition to marketplace? The feedback from the teaching team was a reminder that at times you may have a product in search of a solution. D.C. Veritas D.C. Veritas, the team that was going to build a low cost, residential wind turbine that average homeowners could afford, wanted to provide a renewable source of energy at affordable price. They started to work out what features a minimum viable product their value proposition would have and began to cost out the first version. The Wind Turbine Minimum Viable Product would have a: Functioning turbine, Internet feedback system, energy monitoring system and have easy customer installation. The team also went to the whiteboard and attempted a first pass at who the archetypical customer(s) might be. To get customer feedback the team posted its first energy survey here and received 27 responses. In their first attempt at face-to-face customer interviews to test their value proposition and problem hypothesis (would people be interested in a residential wind turbine), they interviewed 13 people at the local Farmer’s Market. If you can’t see the slide presentation above, click here. The teaching team offered that out of 13 people they interviewed only 3 were potential customers. Therefore the amount of hard customer data they had collected was quite low and they were making decisions on a very sparse data set. We suggested (with a (2×4) that were really going to have to step up the customer interactions with a greater sense of urgency.The teaching team offered that out of 13 people they interviewed only 3 were potential customers. Therefore the amount of hard customer data they had collected was quite low and they were making decisions on a very sparse data set. We suggested (with a 2×4) that were really going to have to step up the customer interactions with a greater sense of urgency. The last team up was Autonomow, the robot lawn mower. They were in the middle of trying to answer the question of “what problem are they solving?” They were no longer sure whether they were an autonomous mowing company or an agricultural weeding company. They spoke to 6 people with large mowing needs (golf course, Stanford grounds keeper, etc.) They traveled to the Salinas Valley and Bakersfield and interviewed 6 farmers about weeding crops. What they found is that weeding is a hugeproblem in organic farming. It was incredibly labor intensive and some fields had to be hand-weeded multiple times per year. They left the week realizing they had a decision to make – were they a “Mowing or Weeding” company? 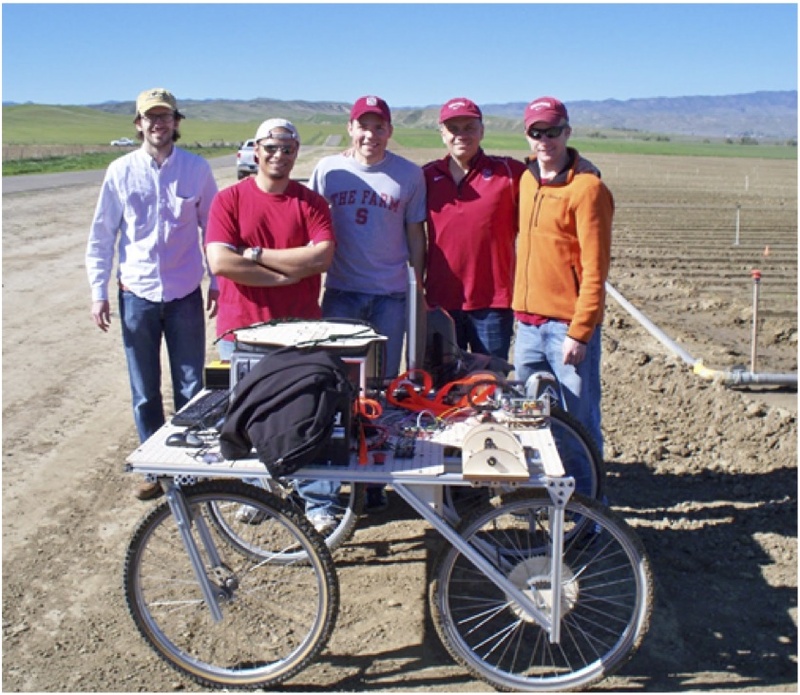 Our feedback: could they really build a robot to recognize and kill weeds in the field? Our lecture this week covered Customers – what/who are they? We pointed out the difference between a user, influencer, recommender, decision maker, economic buyer and saboteur. We also described the differences between customers in Business-to-business sales versus business-to-consumer sales. We talked about multi-sided markets and offered that not only are there multiple customers, but each customer segment has their own value proposition and revenue model. Five other teams presented after these four. All of them had figured out the game was outside the building, with some were coming up to speed faster than others. A few of the teams ideas still looked pretty shaky as businesses. But the teaching team held our opinions to ourselves, as we’ve learned that you can’t write off any idea too early. Usually the interesting Pivots happens later. The finish line was a ways off. Time would tell where they would all end up. Next week – Class 4 each team tests their Customer Segment hypotheses (who are their customers/users/decision makers, etc.) and report the results of face-to-face customer discovery. That will be really interesting. We’re now in the second Internet bubble. The signals are loud and clear: seed and late stage valuations are getting frothy and wacky, and hiring talent in Silicon Valley is the toughest it has been since the dot.com bubble. The rules for making money are different in a bubble than in normal times. What are they, how do they differ and what can a startup do to take advantage of them? First, to understand where we’re going, it’s important to know where we’ve been. The Golden Age (1970 – 1995): Build a growing business with a consistently profitable track record (after at least 5 quarters,) and go public when it’s time. Dot.com Bubble (1995-2000): “Anything goes” as public markets clamor for ideas, vague promises of future growth, and IPOs happen absent regard for history or profitability. Lean Startups/Back to Basics (2000-2010): No IPO’s, limited VC cash, lack of confidence and funding fuels “lean startup” era with limited M&A and even less IPO activity. The New Bubble: (2011 – 2014): Here we go again…. If you “saw the movie” or know your startup history, and want to skip ahead click here. VC’s worked with entrepreneurs to build profitable and scalable businesses, with increasing revenue and consistent profitability – quarter after quarter. They taught you about customers, markets and profits. The reward for doing so was a liquidity event via an Initial Public Offering. Startups needed millions of dollars of funding just to get their first product out the door to customers. Software companies had to buy specialized computers and license expensive software. A hardware startup had to equip a factory to manufacture the product. Startups built every possible feature the founding team envisioned (using “Waterfall development,”) into a monolithic “release” of the product taking months or years to build a first product release. 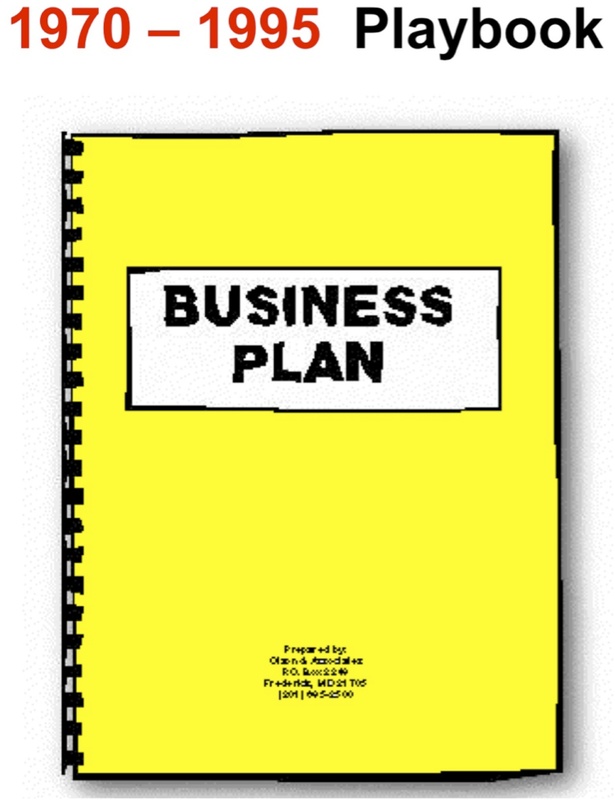 The Business Plan (Concept-Alpha-Beta–FCS) became the playbook for startups. There was no repeatable methodology, startups and their VC’s still operated like startups were simply a smaller version of a large company. 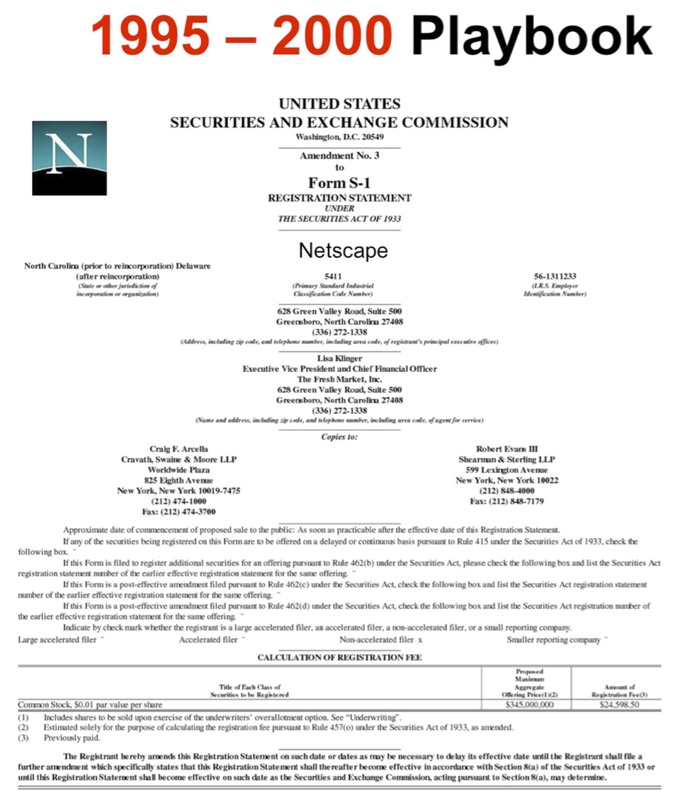 With Netscape’s IPO, there was suddenly a public market for companies with limited revenue and no profit. Underwriters realized that as long as the public was happy snapping up shares, they could make huge profits from the inflated valuations. Thus began the 5-year dot-com bubble. For VC’s and entrepreneurs the gold rush to liquidity was on. The old rules of sustainable revenue and consistent profitability went out the window. VC’s engineered financial transactions, working with entrepreneurs to brand, hype and take public unprofitable companies with grand promises of the future. The goals were “first mover advantage,” “grab market share” and “get big fast.” Like all bubbles, this was a game of musical chairs, where the last one standing looked dumb and everyone else got absurdly rich. Startups still required millions of dollars of funding. But the bubble mantra of get “big fast” and “first mover advantage” demanded tens of millions more to create a “brand.” The goal was to get your firm public as soon as possible using whatever it took including hype, spin, expand, and grab market share – because the sooner you got your billion dollar market cap, the sooner the VC firm could sell their shares and distribute their profits. Just like the previous 25 years, startups still built every possible feature the founding team envisioned into a monolithic “release” of the product using “Waterfall development.” But in the bubble, startups got creative and shortened the time needed to get a product to the customer by releasing “beta’s” (buggy products still needing testing) and having the customers act as their Quality Assurance group. The IPO offering document became the playbook for startups. With the bubble mantra of “get big fast,” the repeatable methodology became “brand, hype, flip or IPO”. After the dot.com bubble collapsed, venture investors spent the next three years doing triage, sorting through the rubble to find companies that weren’t bleeding cash and could actually be turned into businesses. Tech IPOs were a receding memory, and mergers and acquisitions became the only path to liquidity for startups. VC’s went back to basics, to focus on building companies while their founders worked on building customers. Over time, open source software, the rise of the next wave of web startups, and the embrace of Agile Engineering meant that startups no longer needed millions of dollars to buy specialized computers and license expensive software – they could start a company on their credit cards. 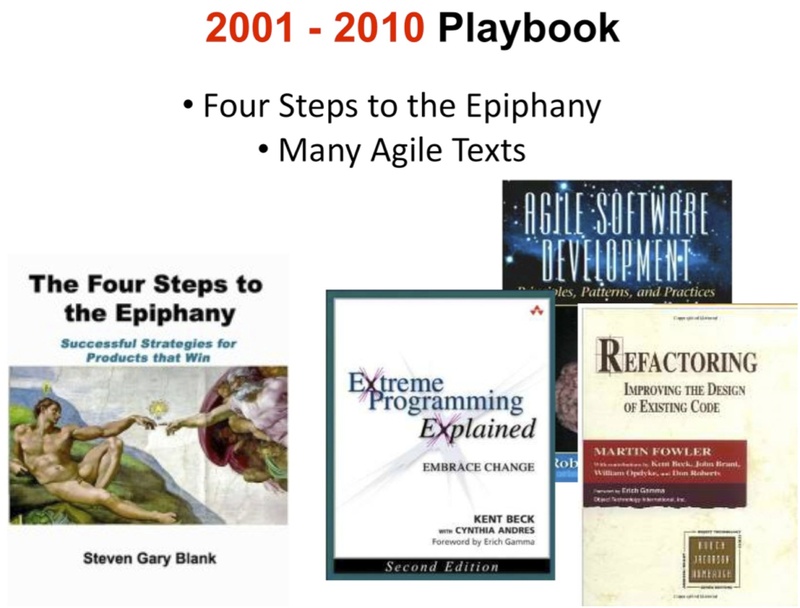 Customer Development, Agile Engineering and the Lean methodology enforced a process of incremental and iterative development. Startups could now get a first version of a product out to customers in weeks/months rather than months/years. This next wave of web startups; Social Networks and Mobile Applications, now reached 100’s of millions of customers. Startups began to recognize that they weren’t merely a smaller version of a large company. Rather they understood that a startup is a temporary organization designed to search for a repeatable and scalable business model. This meant that startups needed their own tools, techniques and methodologies distinct from those used in large companies. The concepts of Minimum Viable Product and the Pivot entered the lexicon along with Customer Discovery and Validation. The signs of a new bubble have been appearing over the last year – seed and late stage valuations are rapidly inflating, hiring talent in Silicon Valley is the toughest since the last bubble and investors are starting to openly wonder how this one will end. The bubble is being driven by market forces on a scale never seen in the history of commerce. For the first time, startups can today think about a Total Available Market in the billions of users (smart phones, tablets, PC’s, etc.) and aim for hundreds of millions of customers. And those customers may be using their devices/apps continuously. The revenue, profits and speed of scale of the winning companies can be breathtaking. Today’s startups have all the tools needed for a short development cycle and rapid customer adoption – Agile and Customer Development plus Business Model Design. Unlike the last bubble this one is not about selling “vision” or concepts. Value Proposition: Labor costs in mowing and weeding applications are significant, and autonomous implementation would solve the problem. Customer Segment: Owners/administrators of large green spaces (golf courses, universities, etc.) would buy an autonomous mower. Organic farmers would buy if the Return On Investment (ROI) is less than 1 year. The Autonomow team summarized their findings in their first 10 minute, weekly Lesson Learned presentation to the class. Our feedback: be careful they didn’t make this a robotics science project and instead make sure they spent more time outside the building. 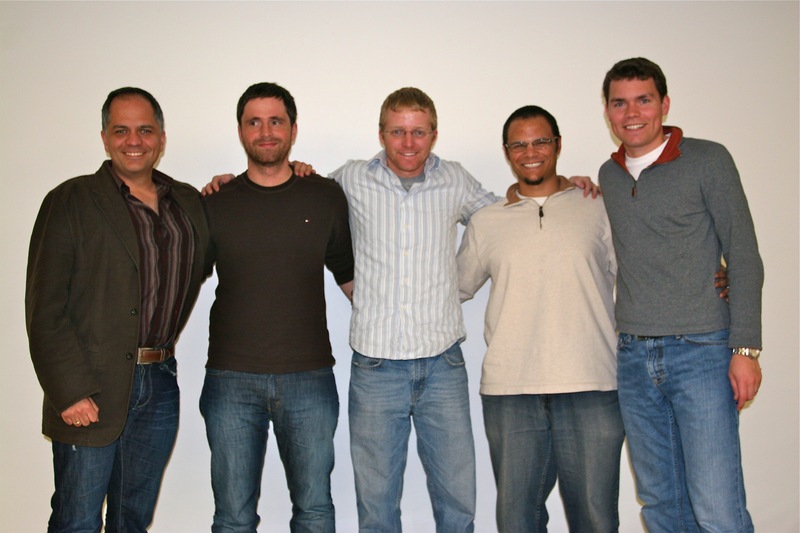 The mentors who volunteered to help this team were Sven Strohbad, Ravi Belani and George Zachary. Our next team up was Personal Libraries which proposed to help researchers manage, share and reference the thousands of papers in their personal libraries. “We increase a researcher’s productivity with a personal reference management system that eliminates tedious tasks associated with discovering, organizing and citing their industry readings,” wrote the team. What was unique about this team was that Xu Cui, a Stanford postdoc in Neuroscience, had built the product to use for his own research. By the time he joined the class, the product was being used in over a hundred research organizations including Stanford, Harvard, Pfizer, the National Institute of Health and Peking University. The problem is that the product was free for end users and few Research institutions purchased site licenses. The goal was to figure out whether this product could become a company. Our feedback was that “free” and “researchers in universities” was often the null set for a profitable business. The mentors who volunteered to help this team were Konstantin Guericke and Bryan Stolle. Our working thesis was not one we shared with the class – we proposed to teach entrepreneurship the way you would teach artists – deep theory coupled with immersive hands-on experience. Our lecture this week covered Value Proposition – what problem will the customer pay you to solve? What is the product and service you were offering the customer to solve that problem. Seven other teams presented after the first two (we’ll highlight a few more of them in the next posts.) About half way through the teaching team started looking at each other all with the same expression – we may be on to something here. For the past three months, we’ve run an experiment in teaching entrepreneurship. We thought it would be interesting to share the week-by-week progress of how the class actually turned out. This post is part one. As the students filed into the classroom, my entrepreneurial reality distortion field began to weaken. What if I was wrong? Could we even could find 40 Stanford graduate students interested in being guinea pigs for this new class? Would anyone even show up? Even if they did, what if the assumption – that we had developed a better approach to teaching entrepreneurship – was simply mistaken? We were positing that 20 years of teaching “how to write a business plan” might be obsolete. Startups, are not about executing a plan where the product, customers, channel are known. Startups are in fact only temporary organizations, organized to search–not execute–for a scalable and repeatable business model. We were going to teach entrepreneurship like you teach artists – combining theory – with intensive hands-on practice. And we were assuming that this approach would work for any type of startup – hardware, medical devices, etc. – not just web-based startups. If we were right, we’d see the results in their final presentations – after 8 weeks of class the information/learning density in the those presentations should be really high. In fact they would be dramatically different than any other teaching method. While I had managed to persuade two great VC’s to teach the class with me (Jon Feiber and Ann Miura-ko), what if I was wasting their time? And worse, what if I was going to squander the time of my students? I put on my best game face and watched the seats fill up in the classroom. A few weeks before the Stanford class began, the teaching team went through their Rolodexes and invited entrepreneurs and VCs to volunteer as coaches/mentors for the class’s teams. (Privately I feared we might have more mentors than students.) An hour before this first class, we gathered these 30 impressive mentors to brief them and answer questions they might have after reading the mentor guide which outlined the course goals and mentor responsibilities. As the official start time of the first class drew near, I began to wonder if we had the wrong classroom. The room had filled up with close to a 100 students who wanted to get in. When I realized they were all for our class, I could start to relax. OK, somehow we got them interested. Lets see if we can keep them. And better, lets see if we can teach them something new. The Lean LaunchPad class was scheduled to meet for three hours once a week. Given Stanford’s 10 week quarters, we planned for eight weeks of lecture and the last two weeks for team final presentations. Our time in class would be relatively straightforward. Every week, each team would give a 10-minute presentation summarizing the “lessons learned” from getting out of the building. When all the teams were finished the teaching team lectured on one of the 9 parts of the business model diagram. The first class was an introduction to the concepts of business model design and customer development. The most interesting part of the class would happen outside the classroom when each team spent 50-80 hours a week testing their business model hypotheses by talking to customers and partners and (in the case of web-based businesses) building their product. After the first class, our teaching team met over pizza and read each of the 100 or so student applications. Two-thirds of the interested students were from the engineering school; the other third were from the business school. And the engineers were not just computer science majors, but in electrical, mechanical, aerospace, environmental, civil and chemical engineering. Some came to the class with an idea for a startup burning brightly in their heads. Some of those applied as teams. Others came as individuals, most with no specific idea at all. We wanted to make sure that every student who took the class had at a minimum declared a passion and commitment to startups. (We’ll see later that saying it isn’t the same as doing it.) We tried to weed out those that were unsure why they were there as well as those trying to build yet another fad of the week web site. We made clear that this class wasn’t an incubator. Our goal was to provide students with a methodology and set of tools that would last a lifetime – not to fund their first round. That night we posted the list of the students who were accepted into the class. The next day, the teaching team held a mandatory “speed-dating” event with the newly formed teams. Each team gave each professor a three-minute elevator pitch for their idea, and we let them know if it was good enough for the class. A few we thought were non-starters were sold by teams passionate enough to convince us to let them go forward with their ideas. (The irony is that one of the key tenets of this class is that startups end up as profitable companies only after they learn, discover, iterate and Pivot past their initial idea.) I enjoyed hearing the religious zeal of some of these early pitches. By the beginning of second session the students had become nine teams with an amazing array of business ideas. Here is a brief summary of each. Agora isan affordable “one-stop shop” for cloud computing needs. Intended for cloud infrastructure service providers, enterprises with spare capacity in their private clouds, startups, companies doing image and video processing, and others. Agora’s selling points are its ability to reduce users’ IT infrastructure cost and enhance revenue for service providers. Autonomow is an autonomous large-scale mowing intended to be a money-saving tool for use on athletic fields, golf courses, municipal parks, and along highways and waterways. The product would leverage GPS and laser-based technologies and could be used on existing mower or farm equipment or built into new units. BlinkTraffic will empower mobile users in developing markets (Jakarta, Sao Paolo, Delhi, etc.) to make informed travel decisions by providing them with real-time traffic conditions. By aggregating user-generated speed and location data, Blink will provide instantaneously generated traffic-enabled maps, optimal routing, estimated time-to-arrival and predictive itinerary services to personal and corporate users. JointBuy is an online platform that allows buyers to purchase products or services at a cheaper price by giving sellers opportunities to sell them in bulk. Unlike Groupon which offers one product deal per day chosen based on the customer’s location. JointBuy allows buyers to start a new deal on any available product and share the idea with others through existing social networking sites. It also allows sellers to place bids according to the size of the deal. MammOptics is developing an instrument that can be used for noninvasive breast cancer screening. It uses optical spectroscopy to analyze the physiological content of cells and report back abnormalities. It will be an improvement over mammography by detecting abnormal cells in an early stage, is radiation-free, and is 2-5 times less expensive than mammographs. We will sell the product directly to hospitals and private doctors. Personal Libraries is a personal reference management system streamlinig the processes for discovering, organizing and citing researchers’ industry readings. The idea came from seeing the difficulty biomed researchers have had in citing the materials used in experiments. The Personal Libraries business model is built on the belief that researchers are overloaded with wasted energy and inefficiency and would welcome a product that eliminates the tedious tasks associated with their work. PowerBlocks makes a line of modular lighting. Imagine a floor lamp split into a few components (the base, a mid-section, the top light piece). What would you do if wanted to make that lamp taller or shorter? Or change the top light from a torch-style to an LED-lamp? Or add a power plug in the middle? Or a USB port? Or a speaker? “PowerBlocks” modular lighting is “floor-lamp meets Legos” but much more high-end. Customers can choose components to create the exact product that fit their needs. Voci.us is an ad-supported, web-based comment platform for daily news content. Real-time conversations and dynamic curation of news stories empowers people to expand their social networks and personal expertise about topics important to them. This addresses three problems vexing the news industry: inadequate online community engagement, poor topical search capacity on news sites, and scarcity of targeted online advertising niches. While I was happy with how the class began, the million dollar question was still on the table – is teaching entrepreneurship with business model design and customer development better than having the students write business plans? Would we have to wait 8 more weeks until their final presentation to tell? Would we signs of success early? Or was the business model/customer development framework just smoke, mirror and B.S.? We’re going to follow the adventures of a few of the teams week by week as they progressed through the class, (and we’ll share the teams weekly “lessons learned,” as well as our class lecture slides. Write down their hypotheses for each of the 9 parts of the business model. 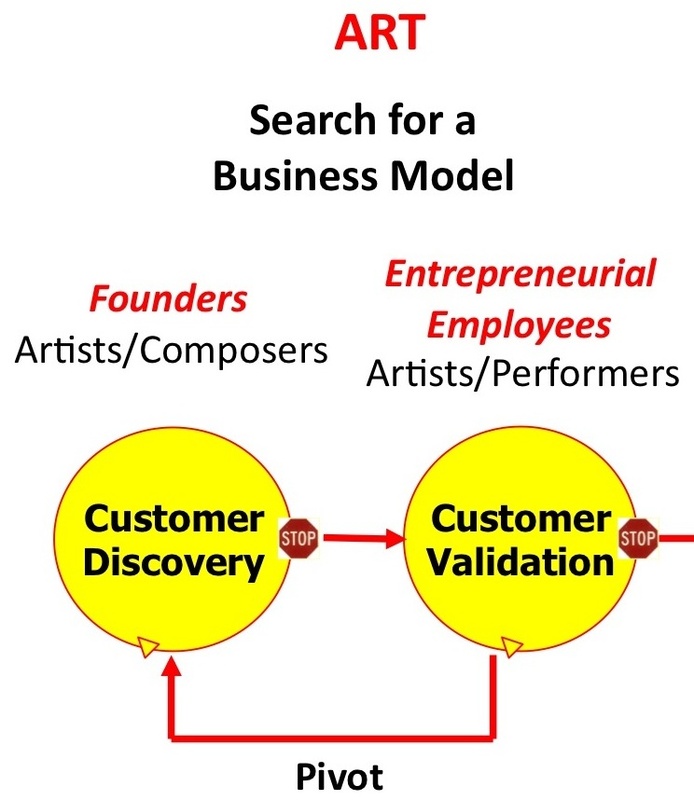 what are each of the 9 business model hypotheses?